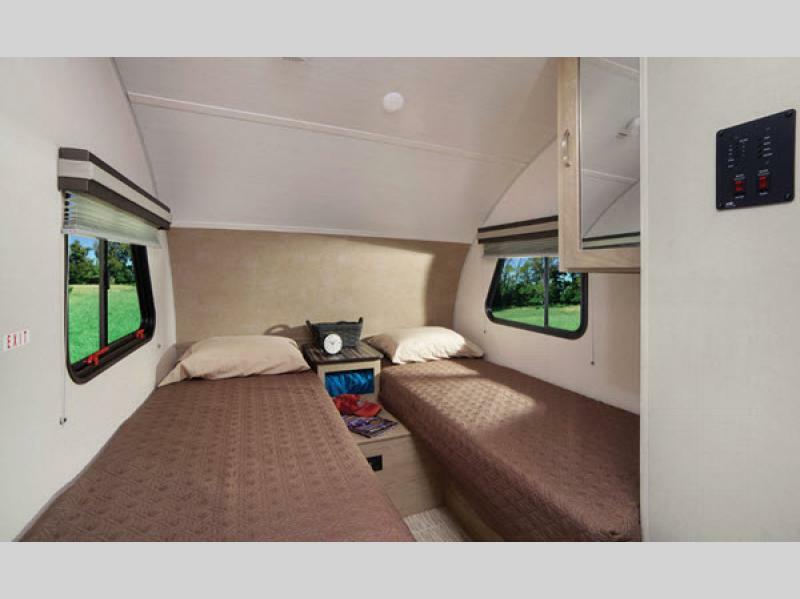 You will be camping in a genuine classic if you choose a Forest River R-Pod for your next adventure vehicle. 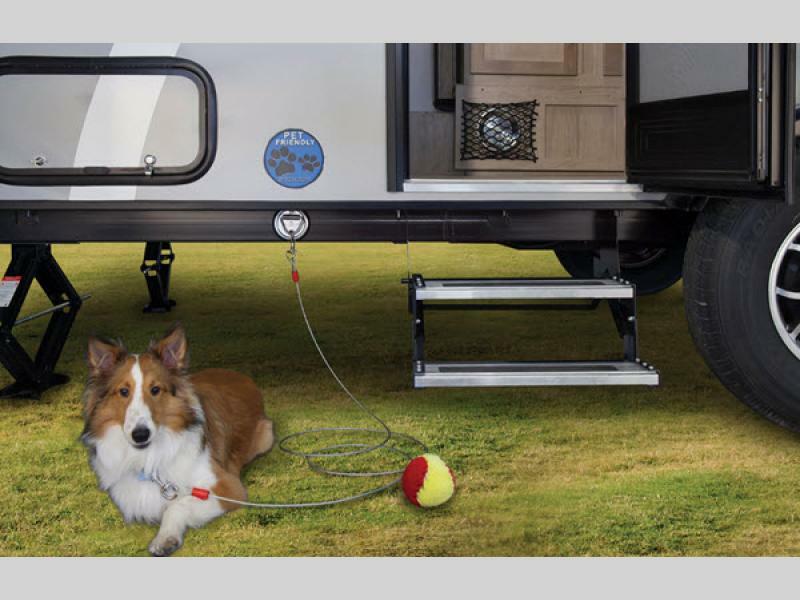 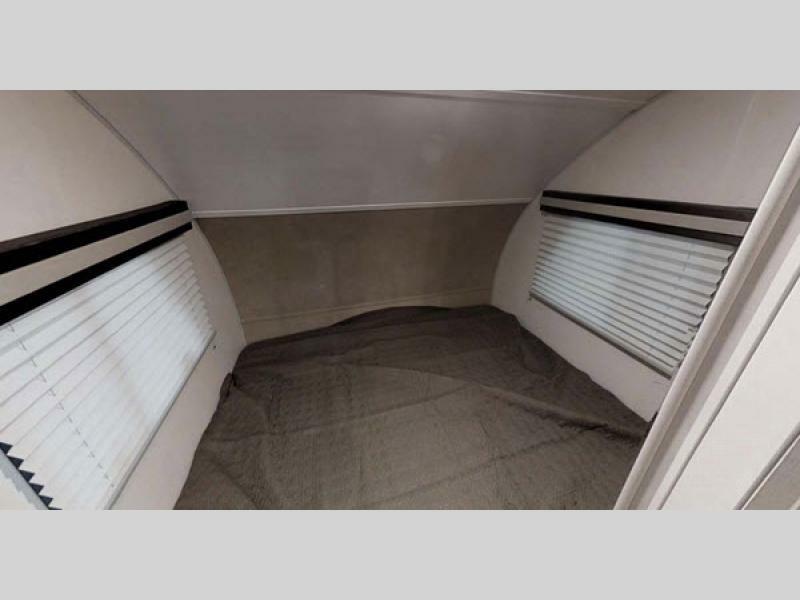 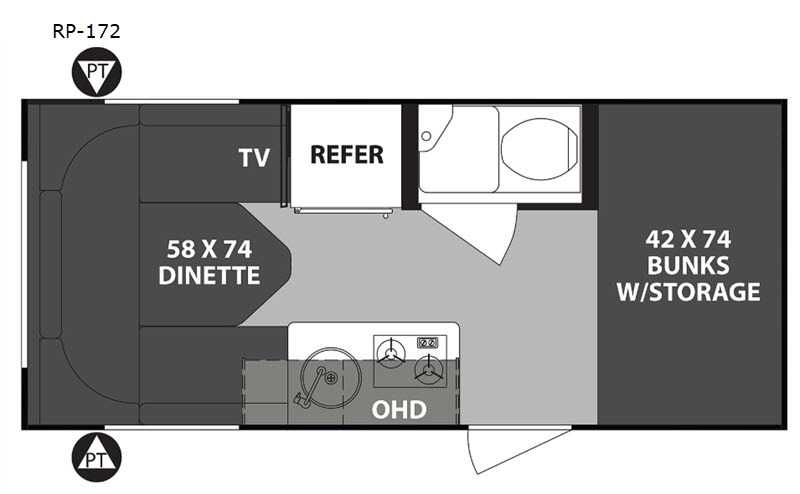 These travel trailers have a unique shape, and are the lowest tow weight unit in their class. 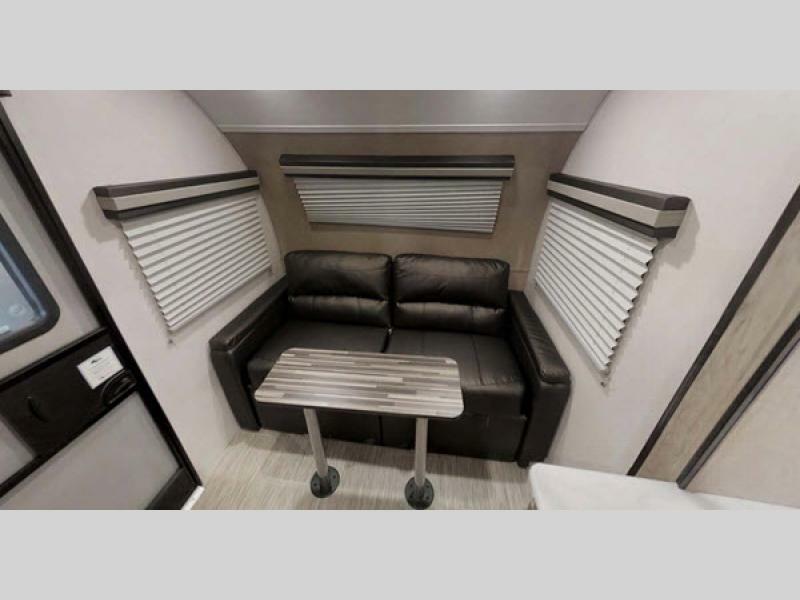 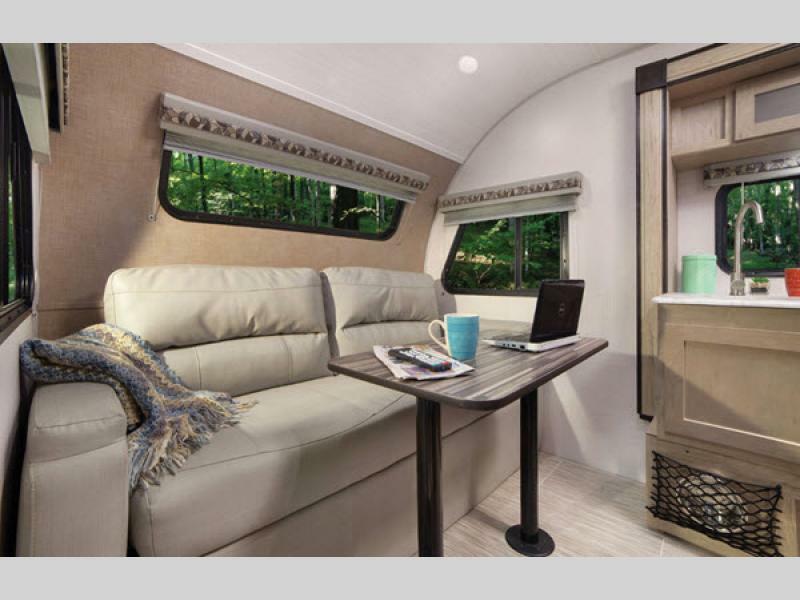 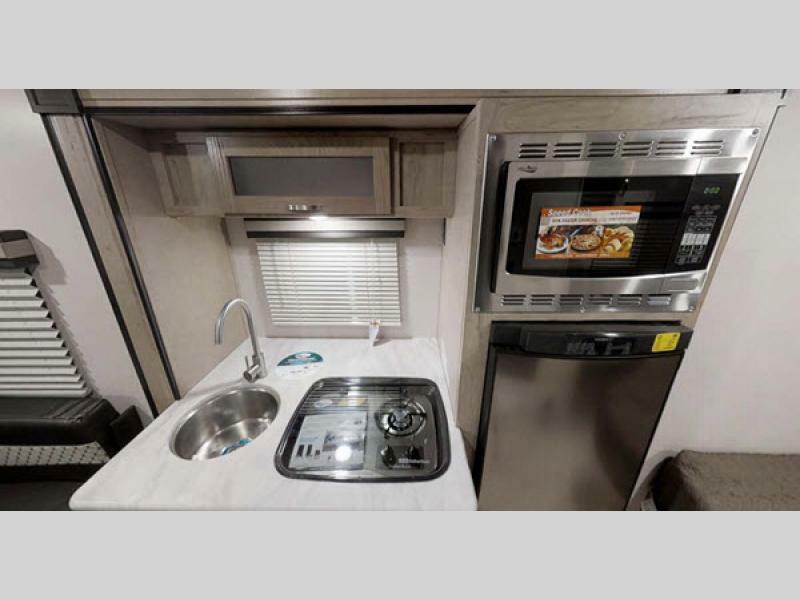 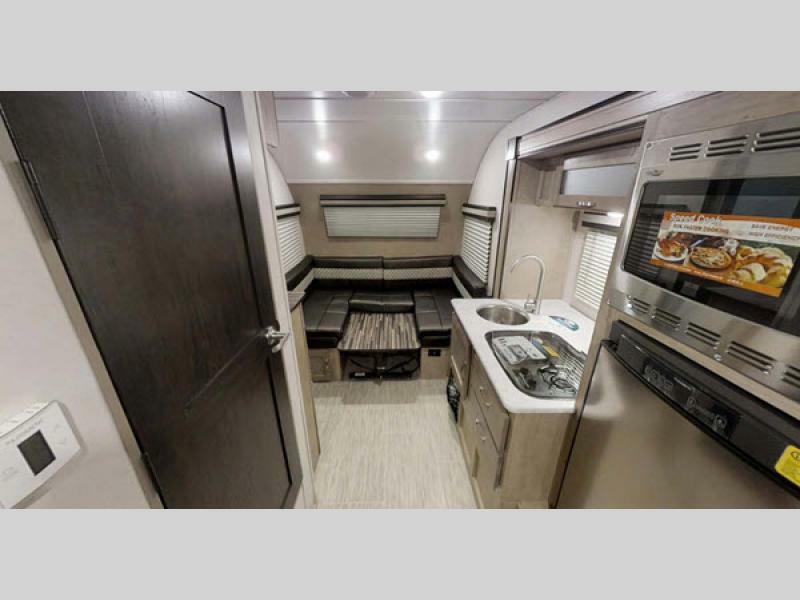 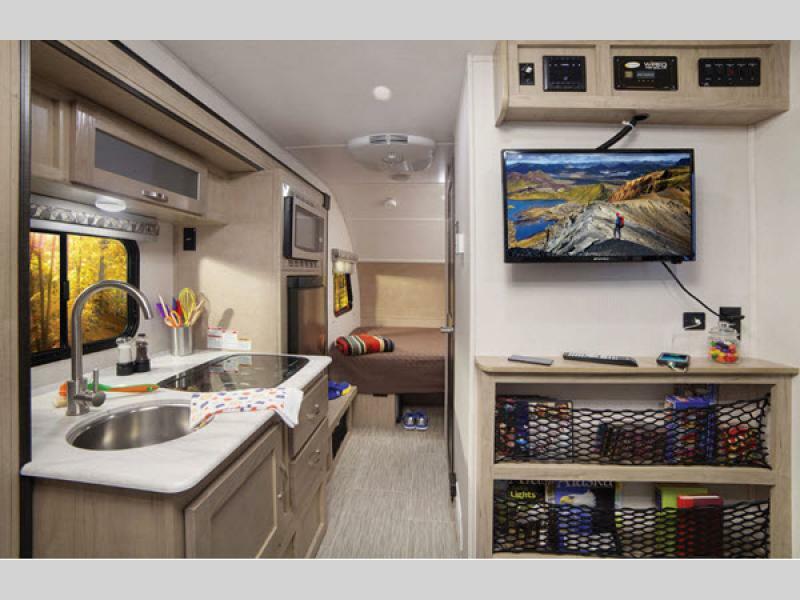 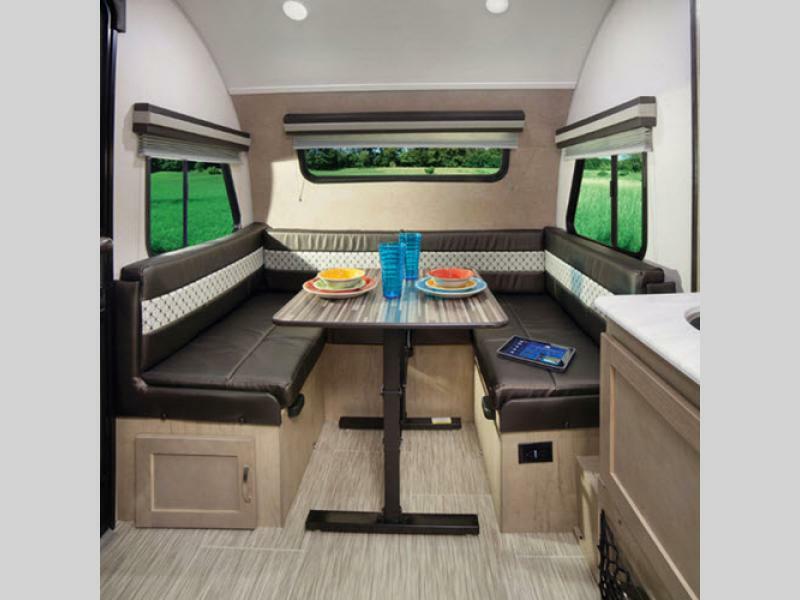 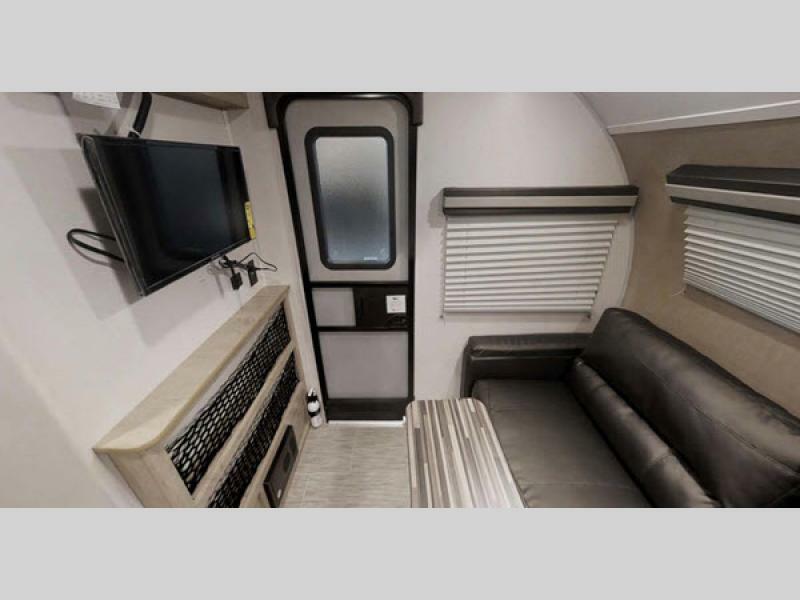 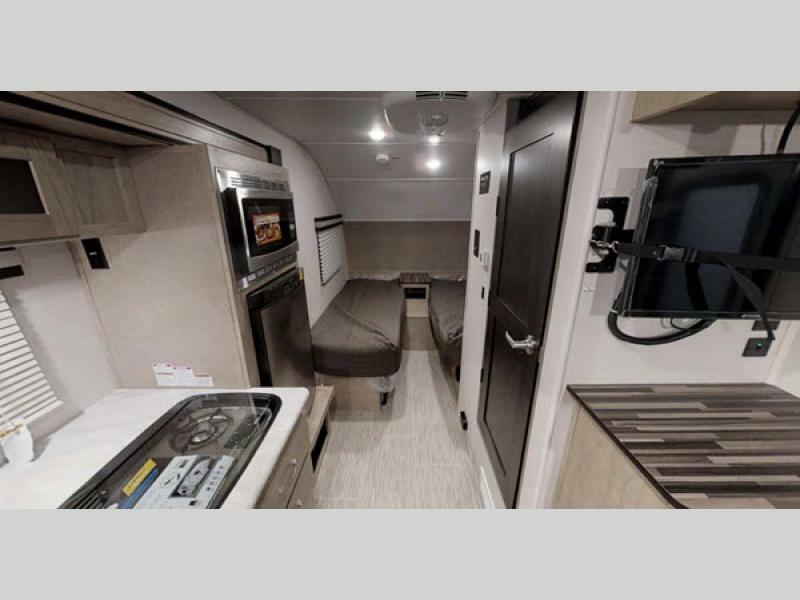 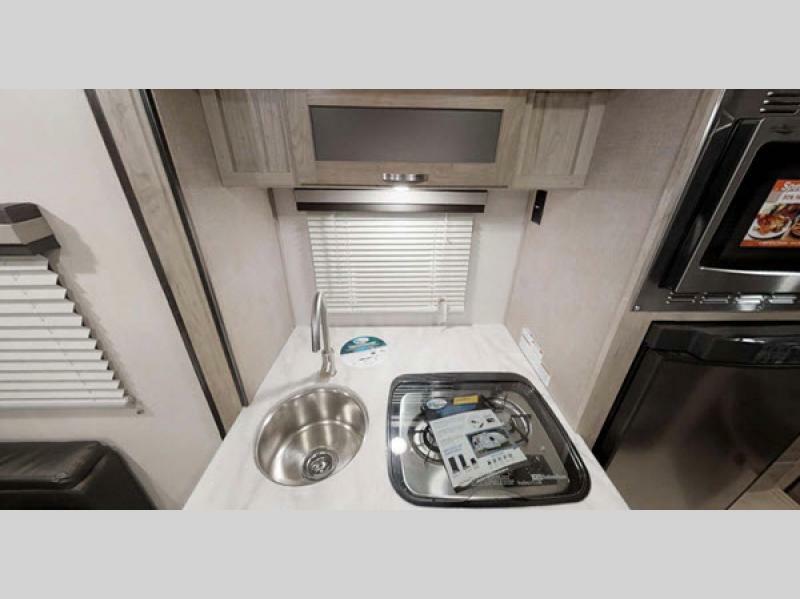 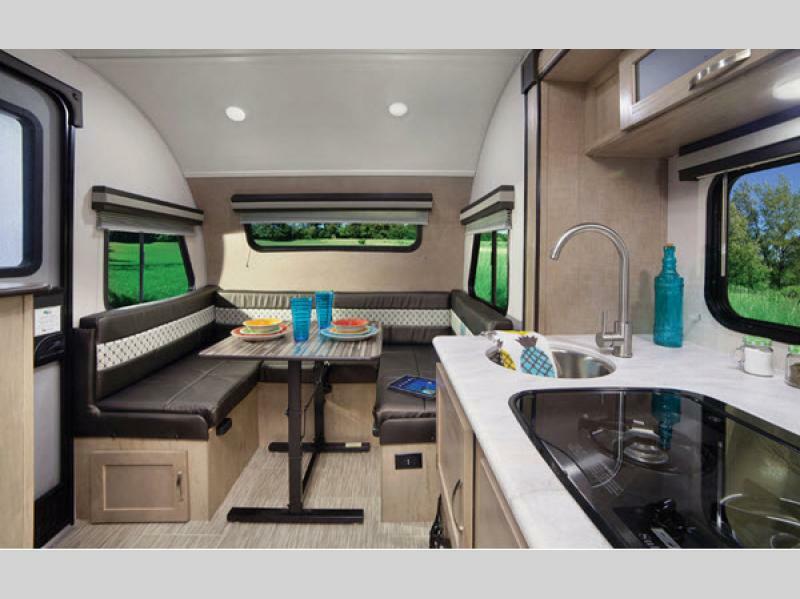 You will appreciate all of the practical features that come standard, making any weekend trip or week long vacation fun! 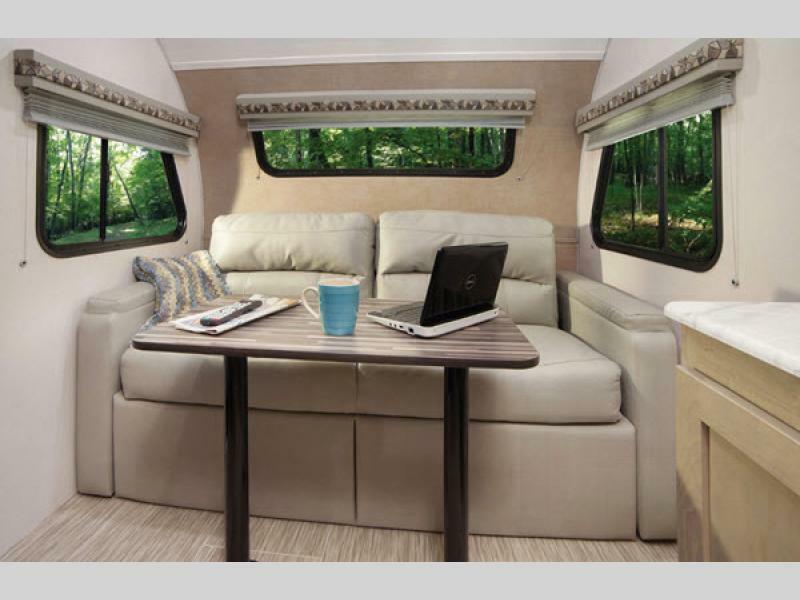 Each model features a 3.7 cu. 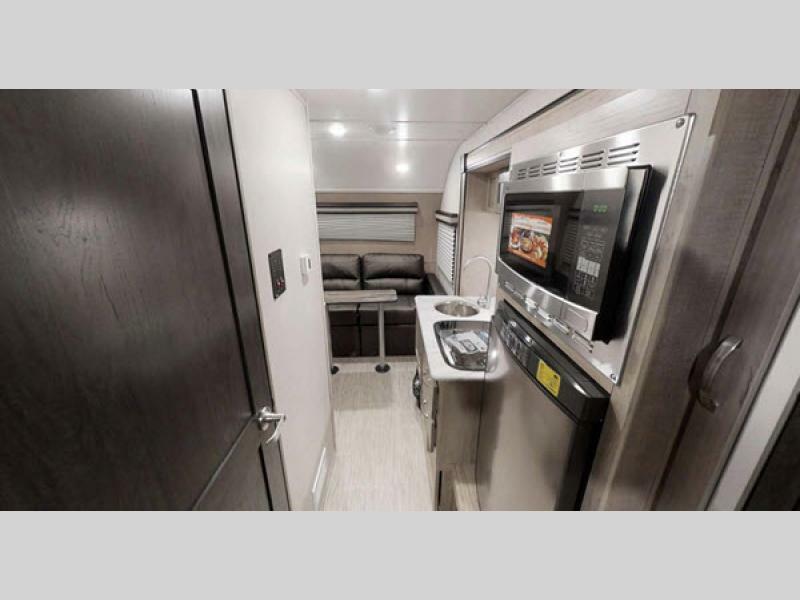 ft. three-way refrigerator, hardwood drawer fronts with full extension ball bearing drawer guides, and LED interior lighting. 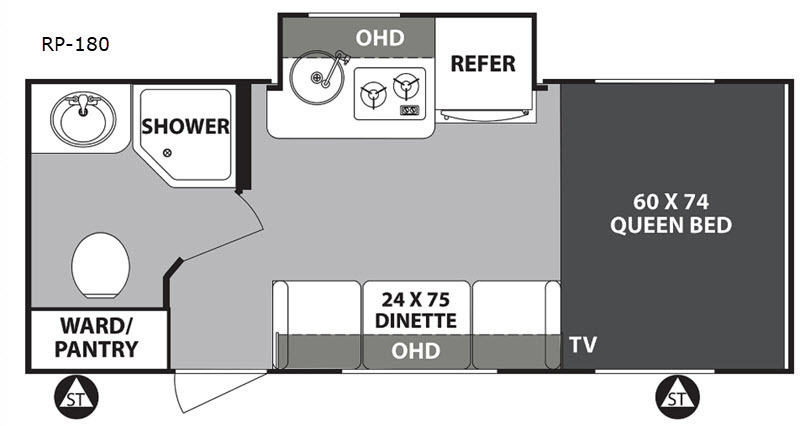 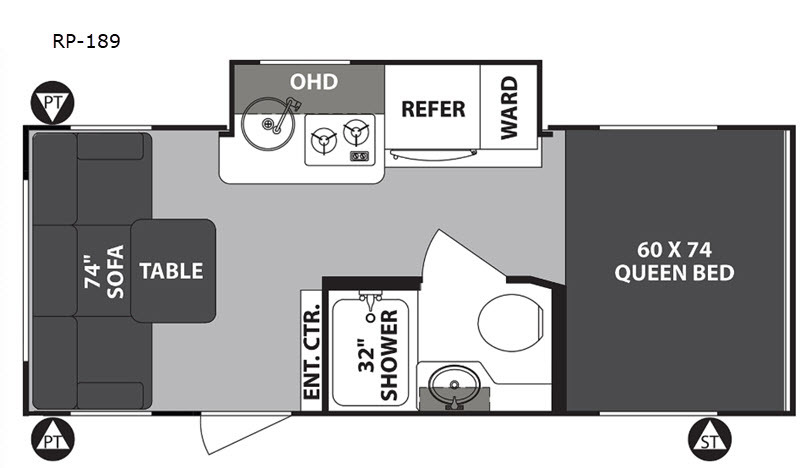 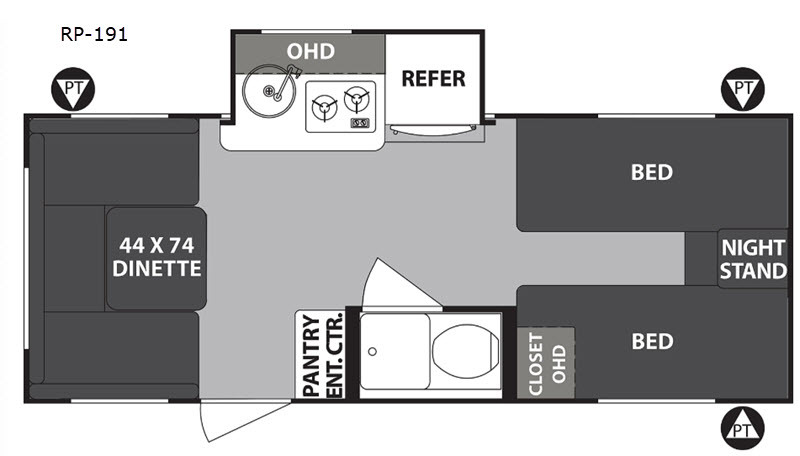 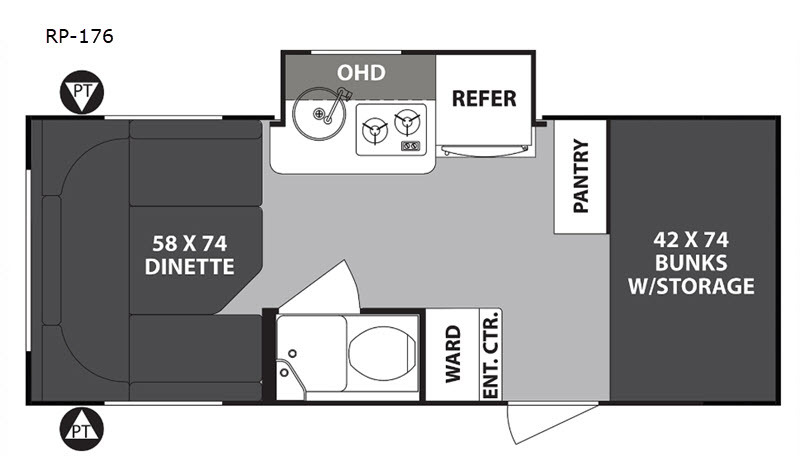 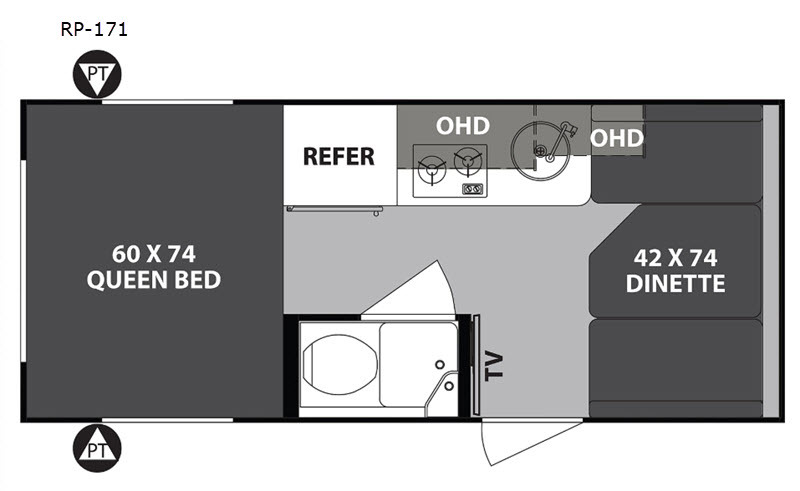 There are several models to choose from with most providing one slide for added interior space. 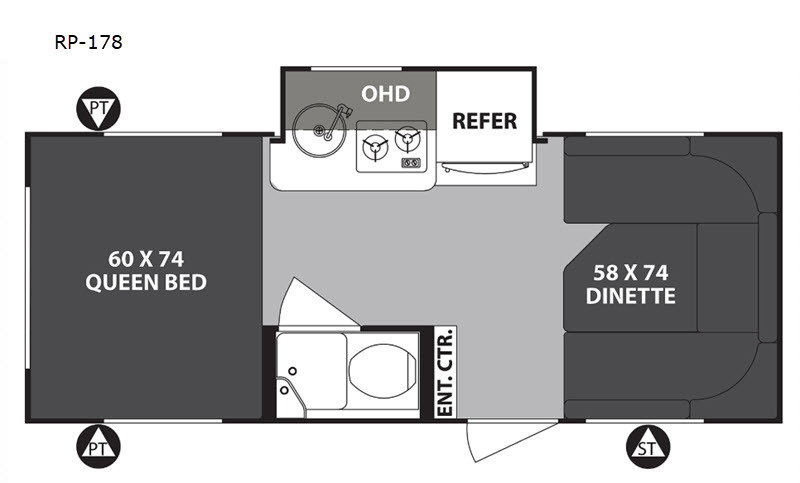 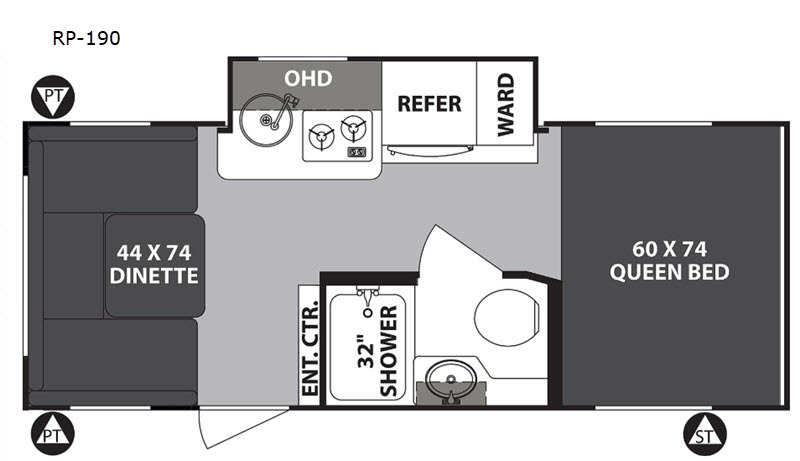 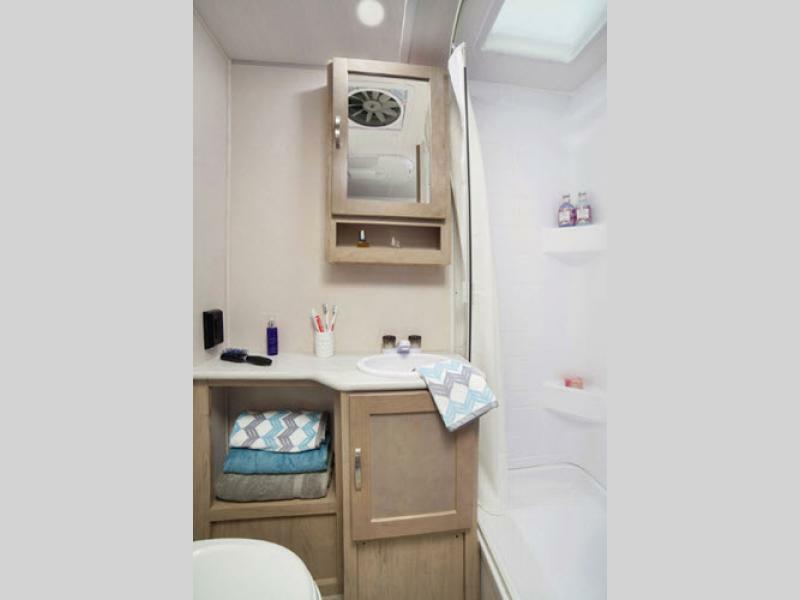 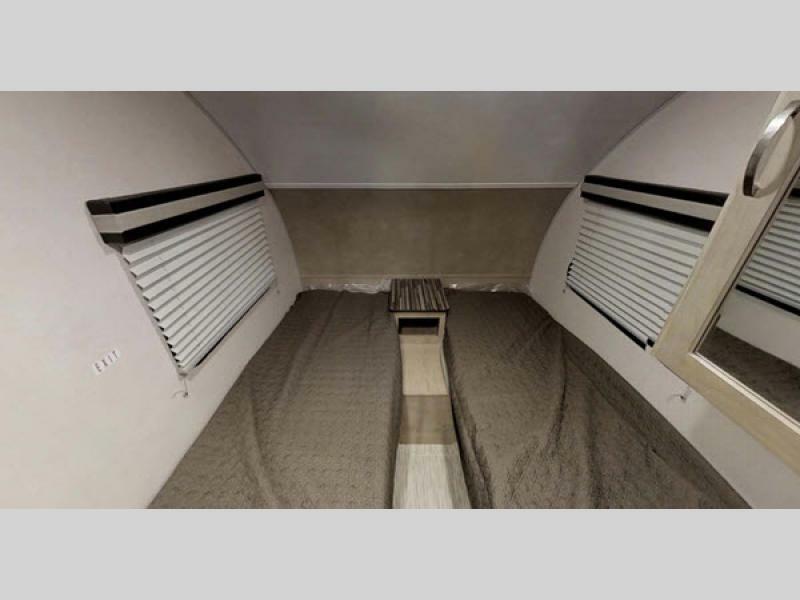 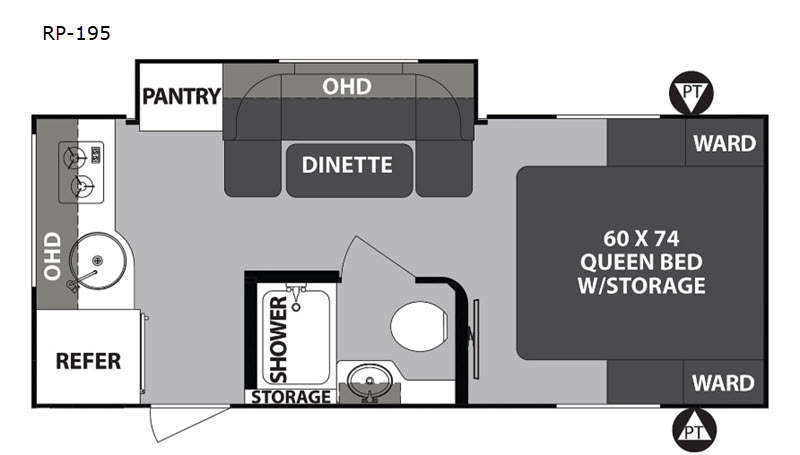 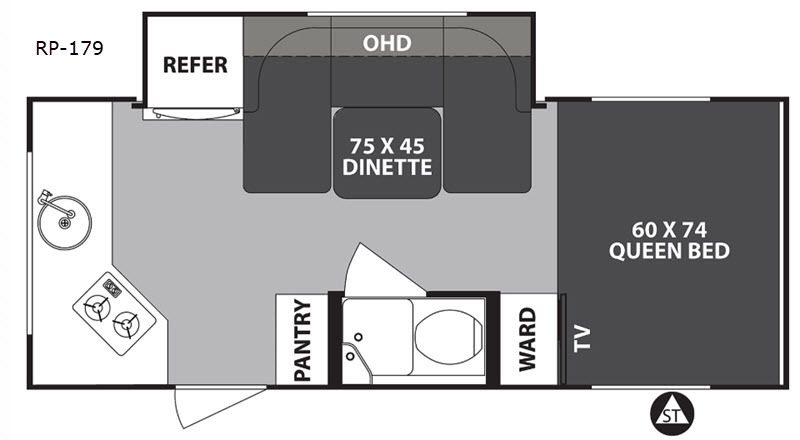 There is even an expandable unit with a queen tent end bed! 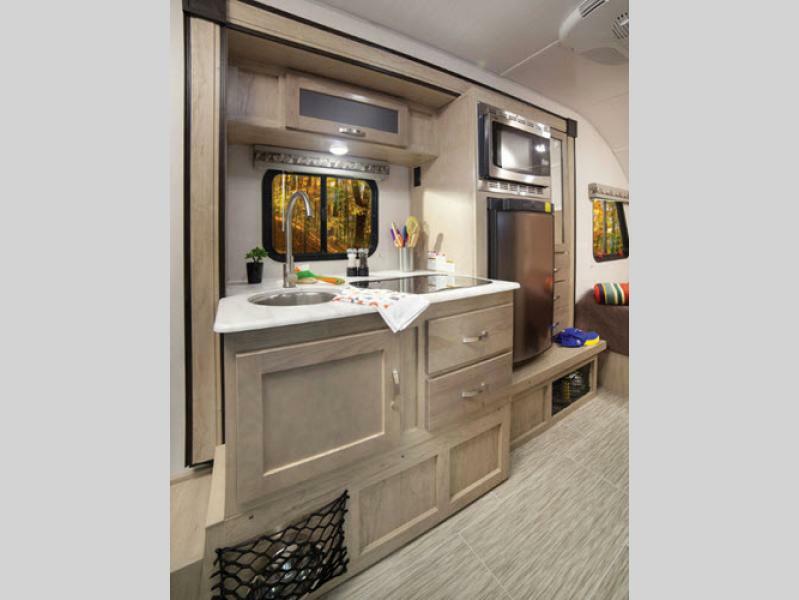 If you are ready to break away from the ordinary camping trailer, choose one of these unique lightweight Forest River R-Pod travel trailers, and take the fun with you when you go!